Hyundai Motor Group, owner of South Korea’s two largest automakers Hyundai Motor Co. and Kia Motors Corp., said on Monday that it has developed a new airbag system that provides additional protection in multi-collision accidents. According to Hyundai Motor, the new airbag system operates effectively in multi-collision accidents in which primary impact is followed by collisions with other objects such as other vehicles or equipment. When a multi-collision occurs, passengers may need additional protection for even collisions with low intensity as they could be hurt from being forced to unusual positions upon shock from the initial collision. 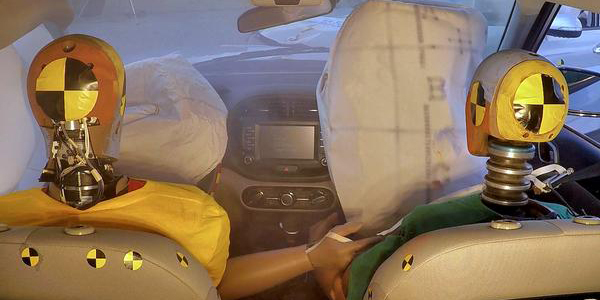 The current airbag system, however, does not offer secondary protection and is only operated when the shock intensity level of a secondary collision reaches that of the initial one. The world’s first multi-collision airbag system developed by Hyundai Motor Group is designed to promptly deploy an additional airbag even when an initial airbag is not operated due to a weak collision impact. The new technology recalibrates the collision intensity needed for deployment, allowing the airbag system to respond during a secondary impact. According to data from U.S. National Automotive Sampling System Crashworthiness Data System (NASS-CDS), about 30 percent 56,000 car accidents between 2000 and 2012 involved multi-collisions in North America. Of them, 30.8 percent involved vehicles crossing over the center line, 13.5 percent cars suddenly stopping at a highway tollgate, and 8 percent crashing into median strips. 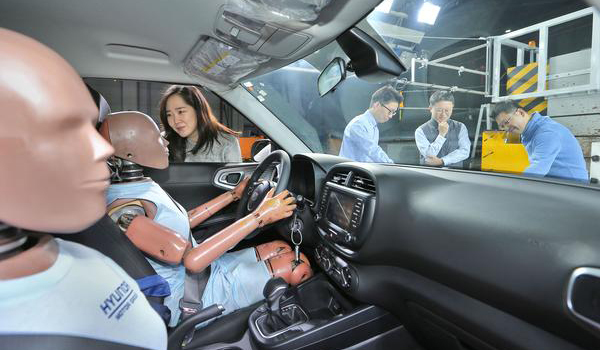 Hyundai Motor Group said that it analyzed car movements and passenger positions in various multi-collision scenarios through analysis simulation and collision tests to apply them to its new airbag system.